As happens every morning at 10:00, the bell rings calling the musically inclined friars to chapel. After all, ‘to sing once is to pray twice’ as St Augustine, founder of your order taught. It is a particularly beautiful spring day, for which you give a silent prayer to God, thanking him for the beauty he has entrusted to mankind. “Amen” you say out loud, straightening from your work in the monastery gardens. It is the beauty of nature that first attracted you to a life of quiet contemplation, well, it was either this or the hard work on your parents’ farm. It’s been ten years since you took holy orders, joining the Eremetics of St. Augustine in the year of our Lord 1843 and you consider yourself fortunate to have done so. The order consider education to be a worthy pursuit and it’s because of the kind sponsorship of Abbot Napp that you’ve just returned to the abbey after spending three years attending the University of Vienna. As you walk amongst the trellis’s of peas, picking the pods and splitting some open, you notice that even within the same pod, these peas can be different, some wrinkled and some round, some yellowish inside and some green. Would it be possible to breed some pea plants which had pods which were all the same? 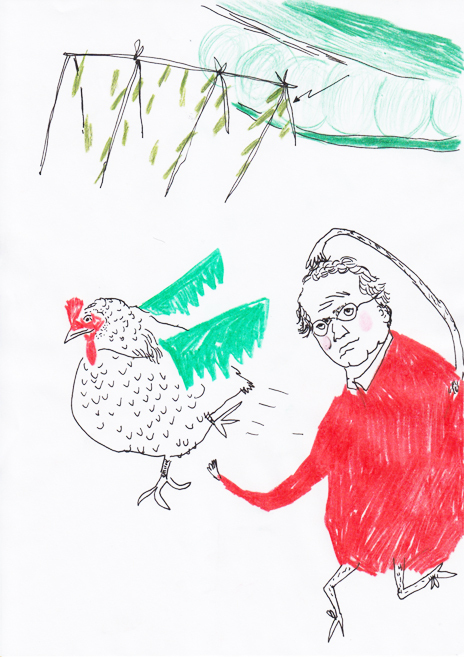 Your reverie is interrupted by a chicken running across your path through the gardens. It strikes you that it is always the chickens from the west coop that manage to find their way through the maze of cloisters in to the rich pecking ground of the experimental gardens. They also seem decidedly smaller and less plump than those from the east coop. The east coop chickens, though fatter, just seem a little less adventurous. They do have a much harder time of it though, their coop being situated next to the chapel bell, and often being thrown into darkness at all sorts of odd times during the day, when the monks cover it with the tarpaulin from . Brother Mendel, if you have heard of some chap called Darwin and his ideas about the survival of the fittest sound promising, you decide to study peas. Turn to page 130. If you have heard of the theories of Msr.‘s Bernard and Lamarck, regarding the development of animals over their lifetimes, you decide to study chickens. Turn to page 120.